First, create a Coinbase account. This is where you will buy Bitcoin. Once you sign up, you will need to go through the verification process, add your info, connect your debit card, and enable two factor auth. Once you are verified and your debit card is attached to the account, you can buy BTC. Go to the Buy/Sell tab and purchase BTC. Now this is the part that I see most go down the wrong road. You can transfer from Coinbase, but you will suffer a fee. If you plan on doing this I would suggest buying Litecoin for the smaller fee OR you can go to GDAX. GDAX is owned by Coinbase, so their transfers from site to site are free and instant. 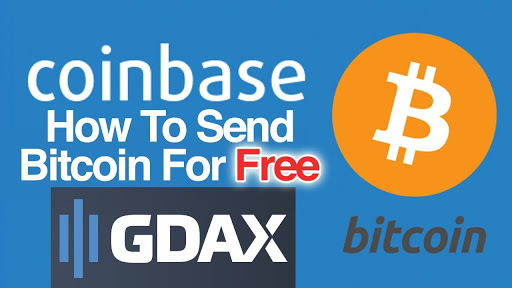 The difference between GDAX and Coinbase is your transfers to your market exchange is free on GDAX. If you were to transfer $100 dollars of BTC on Coinbase, you would get hit with a $35 fee. Inside of GDAX, go to BTC and hit the deposit button. Within there, you will see a “Coinbase Account” tab to transfer the BTC. Now we have our BTC in GDAX, let’s transfer to an exchange. I recommend using Binance but there are a few out there, check that Binance has the coin you are seeking. For example, Binance doesn't trade DOGE, but Poloniex does. Create an account on Binance, go through the verify process and set up two factor auth there as well. From Binance, go to “Funds” and click on “Deposits Withdrawls”. There you will see a list of different currencies. Type in “BTC” and click on its “Deposit” button. Copy the BTC Deposit Address hash. Inside of GDAX, you need to click on the BTC Withdraw button. Under BTC Address tab, you’ll paste in your Deposit Address, fill in your amount of BTC to transfer and hopefully your two factor auth code and withdraw. There is a delay in the transfer, but both sites will give you a status on your transfer. It is nerve racking for the first time so I would suggest doing a smaller amount for practice. Now that we have our BTC on Binance we can begin buy and/or selling other smaller cryptocurrencies. Let’s buy some XRP. Click on the “Exchange” on the top left and go to basic. Search for XRP on the right-hand side with all the coins listed. Once you click on the XRP line item, your screen will change into a buy or sell XRP. Since we transferred straight BTC from GDAX, we are set to purchase. Enter in the amount of XRP you wish to buy and click the “Buy XRP” button. I've been rolling with coinbase for a few months but hadn't used GDAX because I was told they were no longer accepting users. Instead I had followed the route of converting my BTC to LTC and then moving to Binance for trading to keep my fees low. Another exchange you may be interested in (especially with staking options for BridgeCoin - BCO) is crypto-bridge. I'd be interested to hear your thoughts on that particular exchange.